May 22, 2009, The Teamsters Union praised the U.S. House of Representatives today for passing the FAA Reauthorization Bill, 277-136. The bill includes a key provision closing a loophole allowing FedEx Corp. to misclassify thousands of workers. The measure, called the Express Carrier Employee Protection Act, would remove FedEx from its status as the only company of its kind allowed to classify its package delivery workers under the Railway Labor Act (RLA). Package delivery workers in other companies are classified under the National Labor Relations Act (NLRA). This loophole has allowed FedEx to have an unfair competitive advantage and deprived its workers of the right to secure union representation. "The House of Representatives has done the right thing in closing this unfair loophole that benefits only FedEx," said Teamsters General President Jim Hoffa. "Because of this unfair advantage, FedEx Express workers have been deprived their right to form unions like workers at other package delivery companies." The express carrier measure stipulates that employees of an express carrier are covered by the RLA only if their work relates directly to aircraft operations (such as aircraft mechanics). Employees who have nothing to do with aircraft operations (sorters, drivers, truck mechanics and package delivery drivers) will be covered under the NLRA. Under the NLRA, workers form their unions locally. Workers who remain under the RLA will form their unions nationally. The express carrier legislation is fair and reasonable because it puts the workers under the proper labor laws. 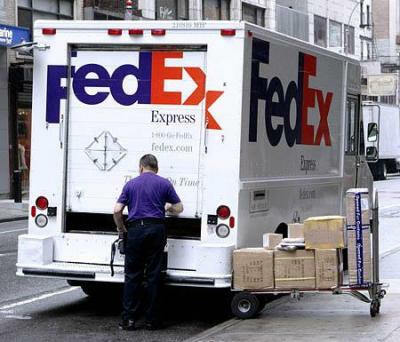 "Employees at FedEx Express who perform precisely the same work requiring the same skill sets are treated dramatically different under our labor laws and are subject to the Railway Labor Act even though they never touch an airplane," said Ken Hall, Teamsters International Vice President and Package Division Director. "Employees performing the same work, employed by companies that provide the same services, should have the same rights to organize a union." Most workers are covered under the Fair Labor Standards act. However, employees who work for the railroads and airlines are covered under section 181 of The Railway Labor Act. Under section 181 all of the provisions of subchapter I of this chapter except section 153, National Railroad Adjustment Board, are extended to cover common carrier by air engaged in interstate or foreign commerce, and every carrier by air transporting mail for contract with the United States Government, and every air pilot or other person who performs any work as a direct employee for carrier. An interesting note. Air carriers are not required to pay there employees one and one half time an employee's regular rate of pay after 40 hours of work in a work week.